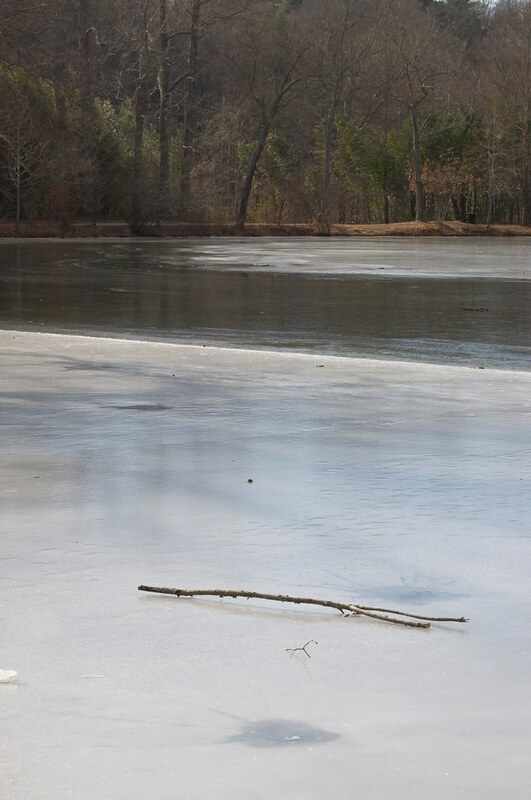 Frozen pond on the grounds of Biltmore Estate (Ashville, NC), December 2010. I thought the split ice – the foreground and then further across, but water (or at least thinner ice) in the middle – was a cool juxtaposition. I threw the stick out as a way to test the thickness, and it turned out to be an interesting foreground detail. This entry was posted on February 6, 2015, 07:00 and is filed under Photo Friday. You can follow any responses to this entry through RSS 2.0. Both comments and pings are currently closed.